We are so delighted to have featured in the #NewYorkTimes, it's such an honour especially to have all the people included in it who have been a special part of our journey so far. 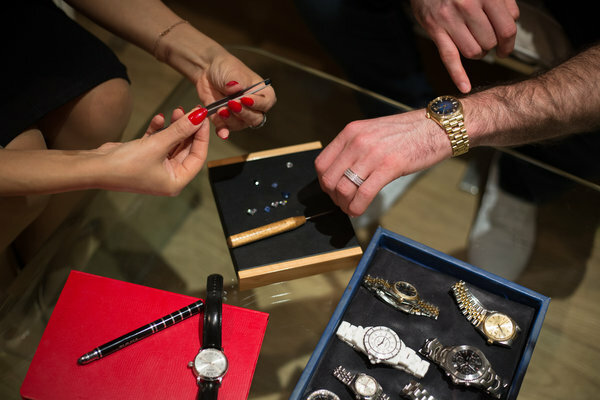 GLASGOW — In a small, windowless room above Royal Exchange Square in Glasgow, Summera Shaheen has been customizing watches and creating jewelry for many of the world’s professional soccer players and their teams. DaMarcus Beasley, an American defense player for the Houston Dynamo and the United States’ national soccer team, is in large part responsible for her speciality. The two met in 2007 at a charity event in Glasgow, and she ended up making a ring for him. “I was really into jewelry and diamonds,” said Mr. Beasley, who was playing in Scotland at the time. “We talked, and she made a pinkie ring for me with a princess-cut diamond. It was beautiful. In fact, Mr. Beasley has been such a big fan and steady customer, he has collaborated with Ms. Shaheen’s Diamond Studio business to create his own DaMarcus Collection of jewelry for men and women. Jewelry has long been an interest for Ms. Shaheen, a Glasgow native — “It’s my passion,” she said. 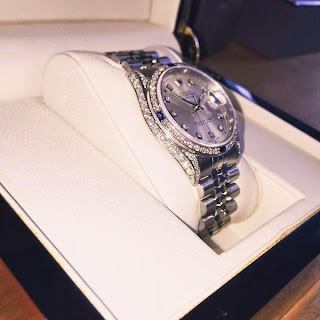 So after she completed a bachelor’s degree in politics and human resource management from the University of Strathclyde, she went to London to earn a certificate in diamond grading from the Gemological Institute of America. 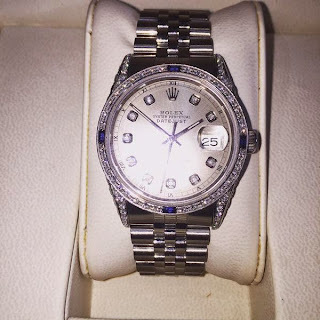 Collaborating with a local man who has been working on watches for 25 years and getting cut stones from her usual sources, she created a bezel of white diamonds that can be added or removed from the watch, depending on how much dazzle is desired. “He gave it to her on their wedding day,” she said. 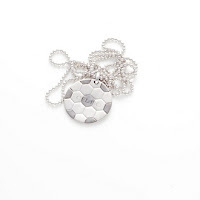 Ms. Shaheen’s list of jewelry and watch clients from the soccer world is extensive, including Alan Martin, goalkeeper for the Scottish Premier League team Hamilton Academical; Maurice Edu, midfielder with the Philadephia Union and Team USA; Jozy Altidore, a forward for the Toronto Football Club and Team USA; Niall McGinn, a winger for the Aberdeen Football Club, another Scottish Premier League team, and the Northern Ireland national team; and Joe Ledley, a central midfielder with the English Premier League team Crystal Palace and the Welsh national team. Ms. Shaheen also creates authorized jewelry collections for several soccer teams, something she says is a first. “No one has ever done quality official jewelry for sports associations before,” at least not complete ranges, she said. For example, white diamonds and red rubies can be used for Aberdeen team pieces, which have the team crest discreetly stamped on the back, or black and white diamonds for the Fulham Football Club, in the Football League Championship. She also is the official jeweler for the Scotland national team and just signed a contract with the Northern Ireland national team. On her dream list: signing up Team USA. Ms. Shaheen, however, always has her eye out for a new creation. 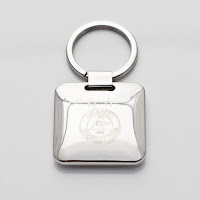 Her latest is Diamond Dogs, a gold or silver tag studded with a small diamond and the dog’s name and, on the back, the owner’s name or whatever information is requested. In December, when George Clooney was in Edinburgh at the Scottish Business Awards, the Scottish Chamber of Commerce presented one to the actor engraved for Millie, the basset hound that he and his wife adopted from a California shelter. Mr. Martin, the Hamilton goalkeeper, has three dogs and is discussing getting tags for them all. And what does Ms. Shaheen plan to call the line in her business’s social media outreach? “Pimp My Dog,” she said with a laugh. Wondering what to give your dad this #FathersDay ? We've put together this handy guide of fabulous fathers day #gifts. This trendy silver ring with 2 round white diamonds and 1 black diamond is an exclusive design from the #DaMarcus collection. 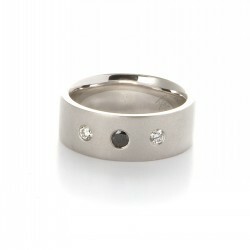 The ring can be hand-engraved with 'dad' or any other personalised message or important date! 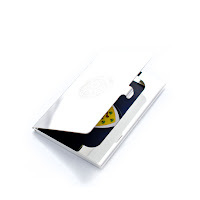 with dates, initials or personal messages. edition dog-tag! Each piece is numbered 1 of 140. Follow us on twitter for more gift ideas! The #pearl is the birthstone for the month of June. They are unique as they are the only gems from living sea creatures and require no faceting or polishing to reveal their natural beauty. 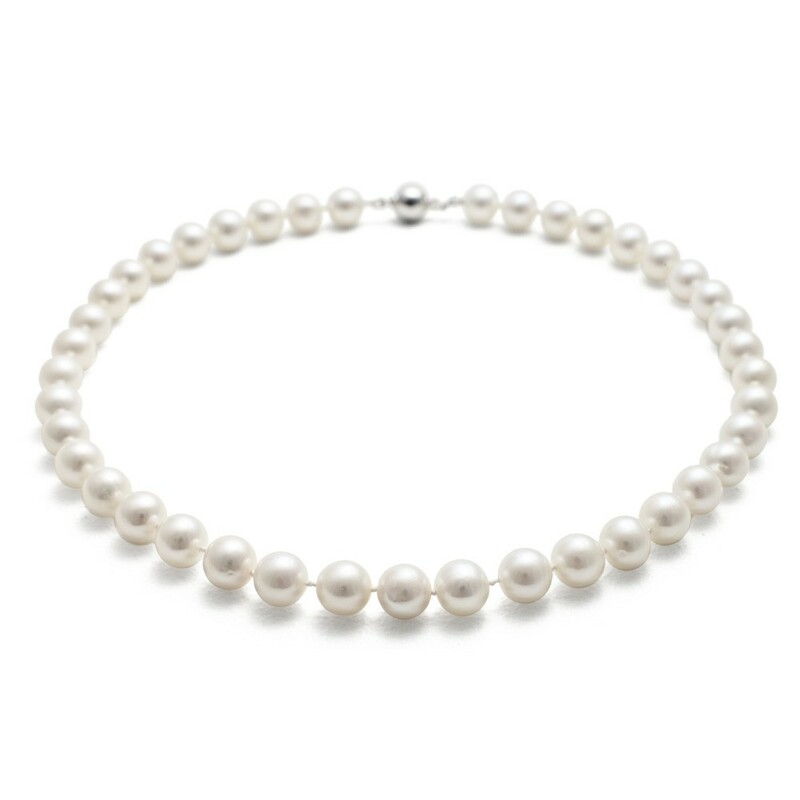 Pearls come in a variety of colours ranging from white to black. The word 'pearl' is derived from the Latin word 'pirum' which reflects the shape of the gem. Did you know that the pearl is associated with loyalty, faithfulness and friendship also - real pearls are made by oysters or other mollusks whilst imitation pearls are man-made. 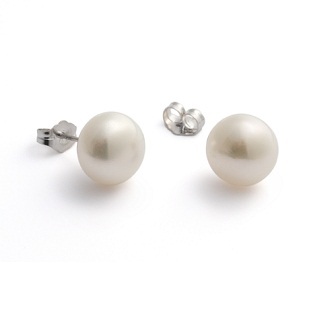 Also did you know that a good sized pearl can take between five to eight years to form. The Diamond Studio is an official stockist of #JerseyPearl - all pieces can be ordered directly from our website or bought in-store. We also offer a #remodelling service, turning your old unwanted jewellery into something new and fabulous. 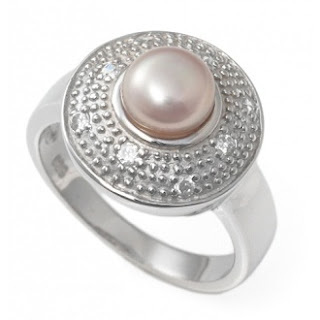 Pearls the perfect gemstone to create a stunning piece of jewellery for anyone celebrating their birthday during the month of #June contact us for more details! 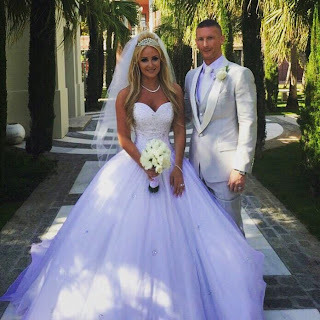 We were absolutely delighted and feel so special to be part of such a beautiful #Fairytale Romance. We first met Jamie in our old #studio when he came to us to seek advice. This was the beginning of a long-lasting friendship. Since then we’ve become good friends and Jamie was a great supporter of our previous charity dinner for Haiti – this was extra special for us as this was when we first met Laura. Looking for #Love, Jamie proposed to Laura in New York...from the #engagement party to the big day... we feel so privileged to be involved in the journey. We loved designing the #rings and #pimping up the #Rolex and, of course, being a part of this very special occasion. Congratulations to you both, wishing you all the happiness in the world. The birthstone for the month of May is the emerald. The traditional birthstone is associated with loyalty, faithfulness and friendship. The healing properties for the May birthstone are reputed to be effective for health problems relating to the eyes, fertility, the spine and headaches. The emerald is used to enhance mental capabilities. The popular May birthstone is found in the following countries: Colombia, Brazil, Zambia and Zimbabwe. 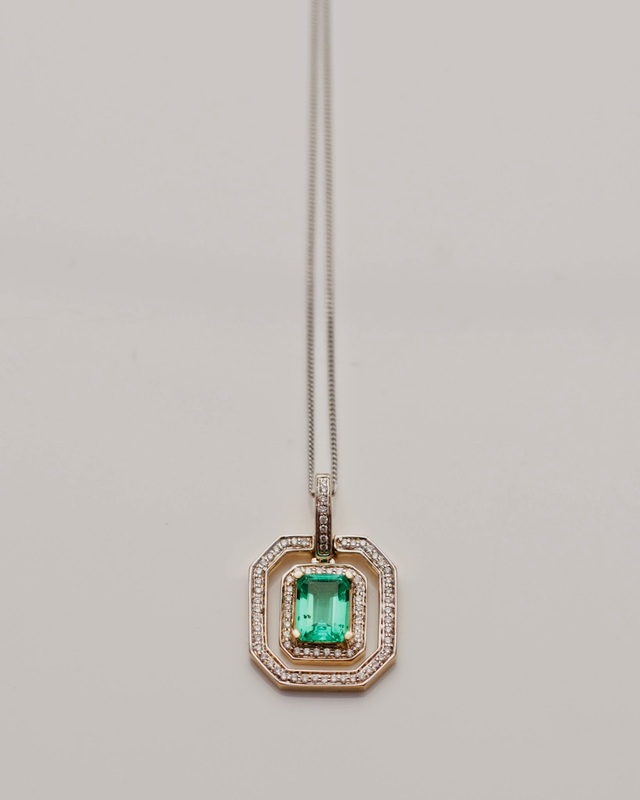 Did you know that the traditional colour associated with the emerald is the deep green colour and was strongly favoured as a popular gem in Victorian jewellery. The symbolic meaning of the colour green was renewal of life and nature. The word 'emerald' was derived from the Greek word "Smaragdos" which means green stone which reflects the colour of the emerald. Also did you know that by weight, the emerald stone is the most valuable gemstone in the world. Emeralds are a great investment as well as the perfect stone which can be set into a pendant or ring for anyone celebrating their birthday this month. A birthstone is a stone associated with each month of the year. Giving a piece of jewellery containing the gemstone will bring the wearer with good luck! If you're celebrating your birthday in April, your birthday gemstone is a diamond! The diamond is associated with enhancing relationships and increasing inner strength. Did you know that the word diamond is derived from the Greek word "adamas" which means "hardest metal"
Diamonds are found in Australia, Ghana, Zaire, Russia, USA and Brazil ... did you also know that the diamond is the hardest substance known!? Design a beautiful piece of jewellery set with a diamond for that special person who is celebrating their birthday this month! Our bespoke service allows you to create the perfect piece of jewellery that fits within your budget. Amethyst is the birthstone for the month of February. For many years, the amethyst has been associated with many myths and legends - it is thought to keep the wearer clear-headed and quick-witted. It is suggested as a gem-stone to give on the 4th, 6th and 17th wedding anniversaries. The birthstone is associated with stability, peace, balance, courage, inner strength, sincerity and a calm disposition. The healing properties of the stone are also related to the withdrawal symptoms of any addiction. It was even once referred to as the "sobriety stone" as it was once believed to prevent drunkenness and treat alcoholism. Did you know that the word amethyst is derived from the word "amethystos" which means "remedy against drunkeness". The birthstone is typically found in Brazil, Uruguay and Zambia. Design a unique piece of jewellery for your friend / partner / sibling for their birthday this month! 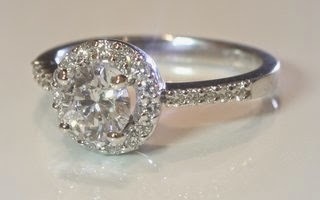 If you have an idea in mind of what they would like, we can create a special piece of jewellery to fit your budget. 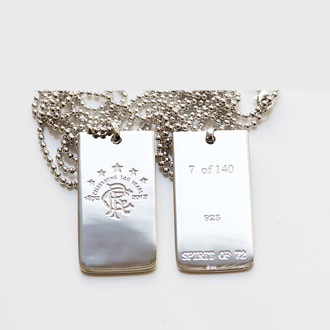 Or see our website for more details about the jewellery below! 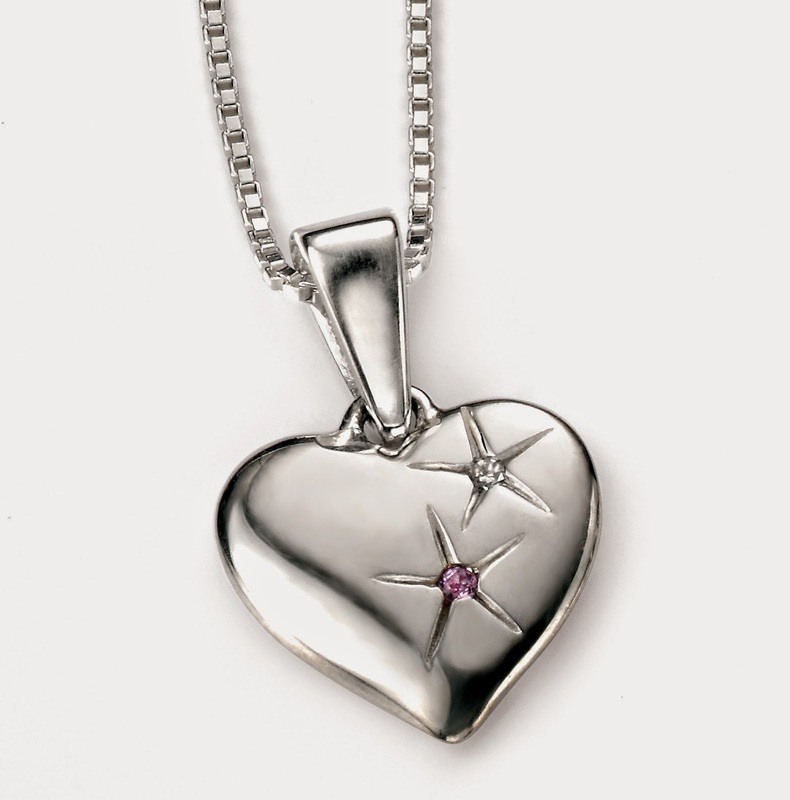 This stunning heart-shaped necklace is priced at only £45 and also comes with a matching bracelet. 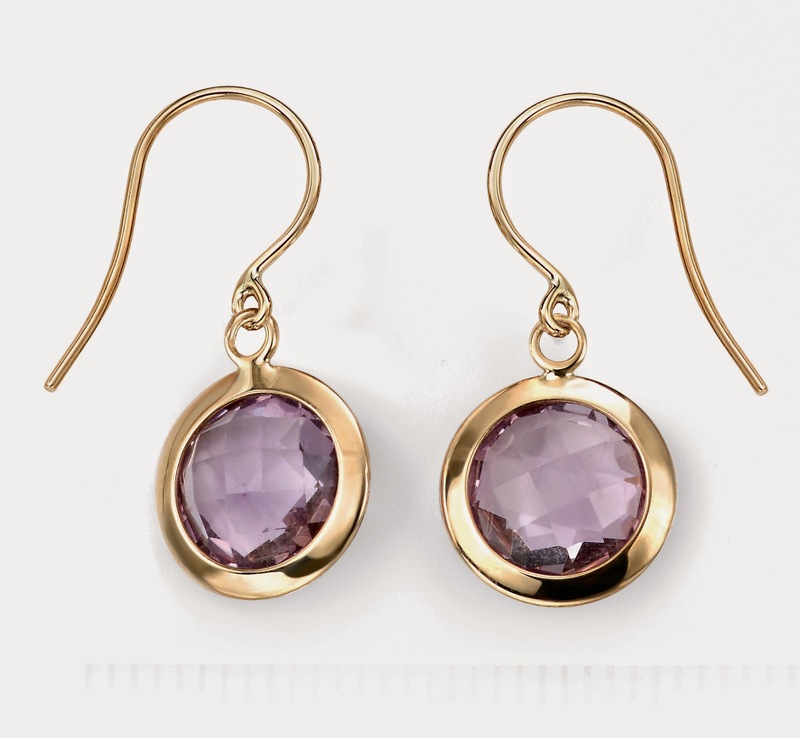 These amethyst gold earrings make the perfect addition to any outfit.